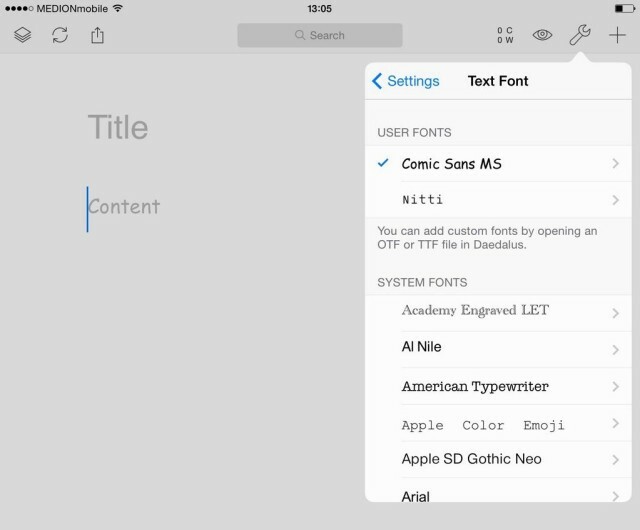 You can add any typeface to the apps on your iPhone or iPad. 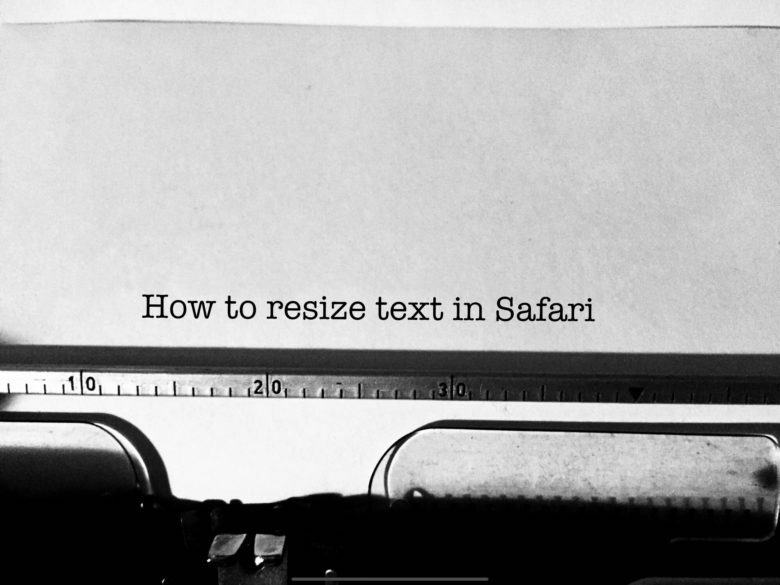 Most of use just use the fonts that come supplied with the iOS apps we use every day. 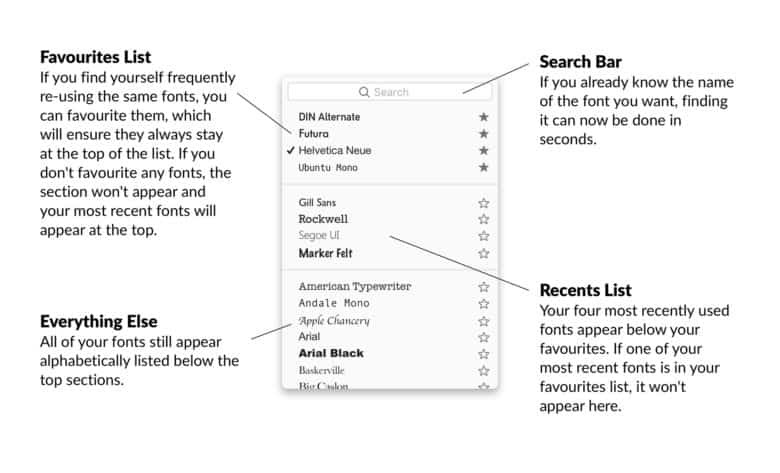 If you use Pages, you get a ton of built-in typeface options. But what if you use a notes app by a smaller developer that hasn’t licensed a bunch of fonts for their app? 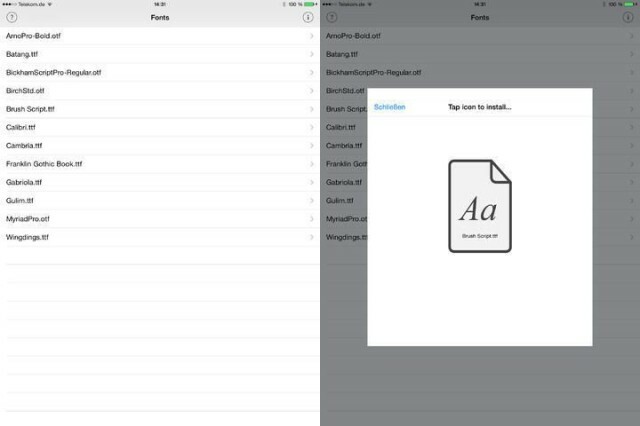 What if you have a favorite font, or even a font you designed yourself, that you want to use on your iPhone or iPad? Or maybe you opened up a Microsoft Word document in Pages and got the dreaded “missing font” warning? Then there’s good news, because you can quite easily install fonts on your system, and they can be used by any app that supports them. What? Yes. 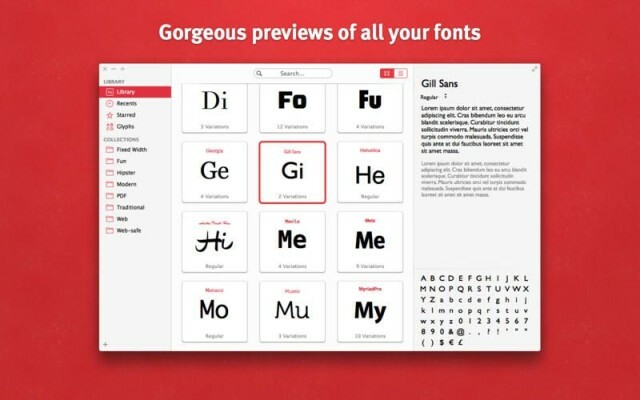 AnyFont is a proper, available-in-the-App-Store iOS app that lets you install fonts system-wide, for use by any app that allows access to the full list of iOS system fonts. How does it manage this sandbox-skipping magic? Installation profiles. Does the recent spat over Writer Pro and its software-patenting shenanigans leave you wishing you could use its beautiful Nitti Light font in a different developer’s app? Or are you so scarred by years of using Microsoft Word that you can’t concentrate unless you’re staring at a page of Times New Roman? Fear not, friends, because The Soulmen have the answer. 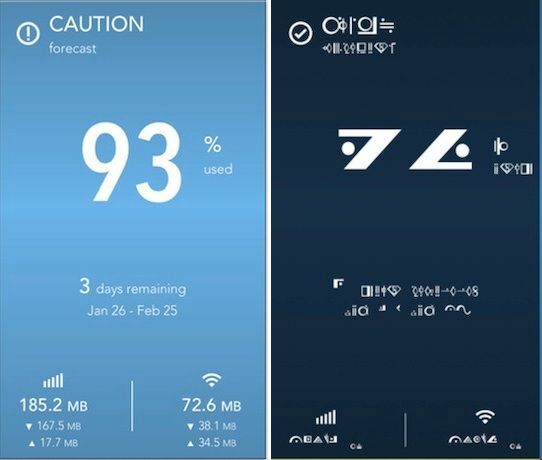 Hidden in the latest update to Daedalus Touch is a way to import any font you like. Yup, I’m talking about Comic Sans on iOS. 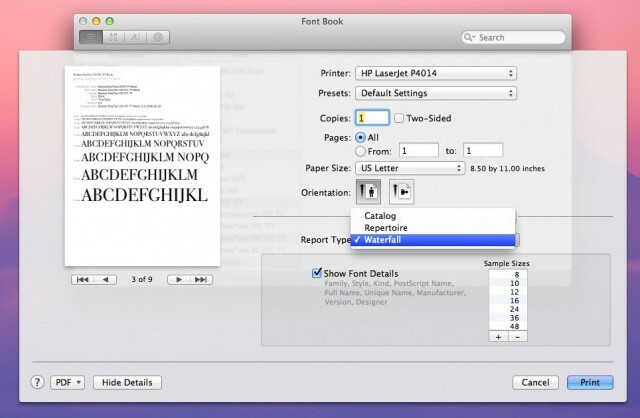 Remember Mac font managing apps? I do: I hated them. Extensis Suitcase caused more problems with my old G5 PowerMac than anything else, ever, and I was fairly conservative in my font use back when I worked as a designer. Thankfully, Macs these days don’t need the user to manually switch fonts on and off: our computers are powerful enough to handle it. Which is why Bohemian Coding ditched its old Fontcase app and replaced it with the shiny new Fonts, an app that is dedicated to just organizing and looking at your fonts. If you're Superman, you can read the one on the right. As if Dataman Next isn’t already superpretty and superuseful, it’s now available in a Kryptonian font. Supermen and geeks everywhere, rejoice. IOS Fonts is the most concisely-named website of the day. 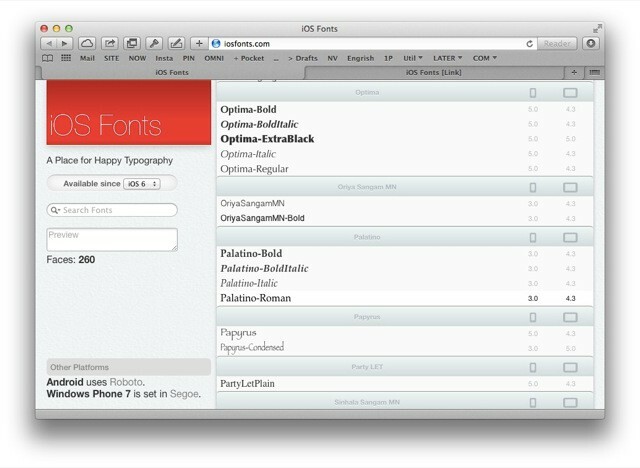 It shows you all the fonts available on your iOS device, lets you search them and even preview your chosen text in them. I love it… and yet I’m struggling to find any practical use for it. 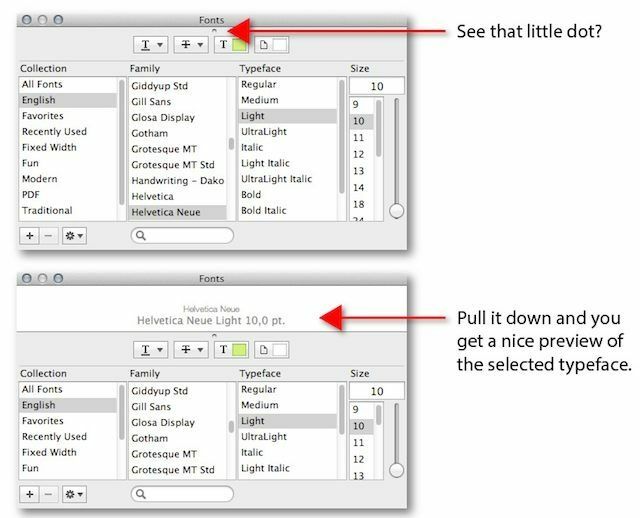 I adjust fonts in different apps for OS X almost every day, so maybe I’m blowing this tiny tip out of proportion, but it’s one of the most useful things I’ve come across in weeks. Slide a little dot down to get a preview of the font, rather than having to look over at your document or image with each font change? It’s great! A veritable waterfall of letters and numbers. Doing any design work? Creating an office newsletter, classroom report, or client brochure? Chances are you’ll be needing some fonts. The Mac may have ushered in the era of desktop publishing many moons ago, but we’re still at the mercy of our own (or our clients’) good taste or lack thereof. 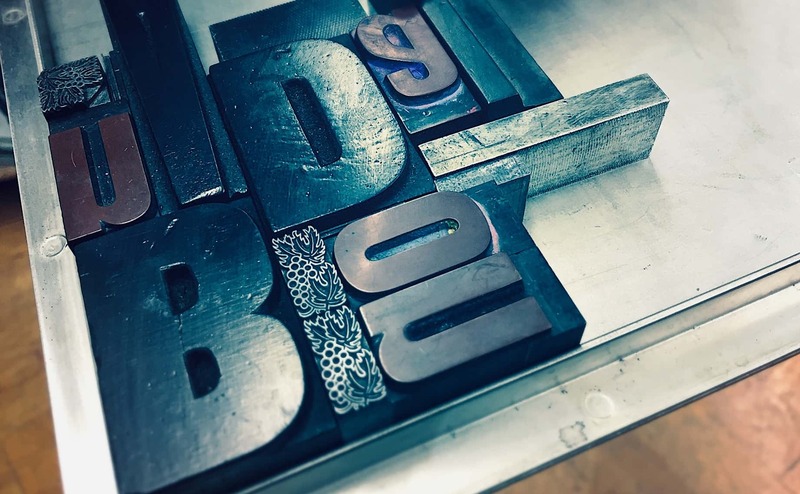 If you’re trying to decide between different fonts for a particular project, you might want to print out a font sampler, which contains all the different fonts you are looking at in a nice, easily shared format. 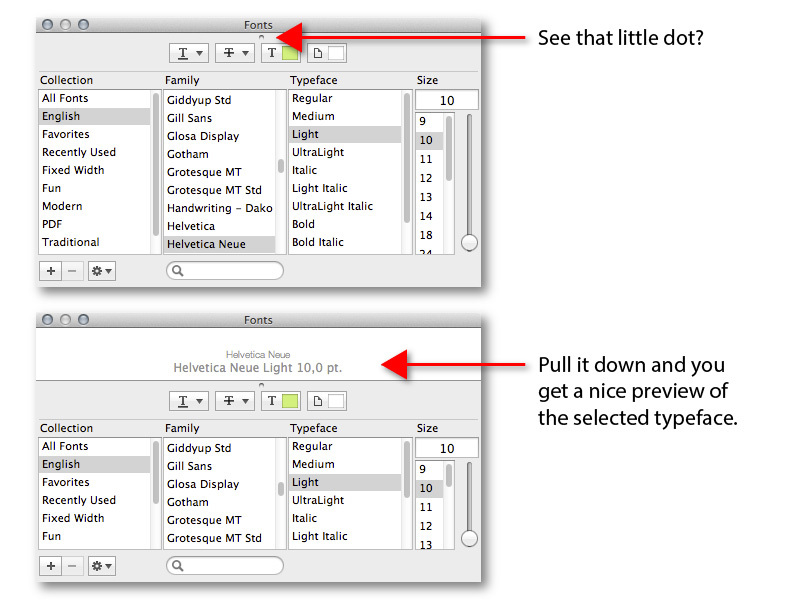 Font Book, the app that handles fonts on your Mac, can do this for you easily, at least in Mac OS X 10.7.3. Here’s how to make that happen.